Frank Podmore was born at Elstree, Hertfordshire, on 5th February 1856. The son of Rev. Thompson Podmore, the Headmaster of Eastbourne College, Frank was educated at Haileybury School and Pembroke College. He graduated from Oxford University with a first in natural science in 1877. As an undergraduate Podmore developed an interest in spiritualism and carried out research into psychic phenomena. He joined the Society for Physical Research and although he eventually rejected spiritualism, he did support the idea of extra-sensory perception. In 1881 Podmore met Edward Pease, a young stockbroker. They discovered a mutual interest in socialism, and joined the Progressive Association, founded in November 1882. They took a keen interest in the utopian philosophy of Thomas Davidson, and with a few others formed a society, the Fellowship of the New Life. Other members included Edward Carpenter, Edith Lees, Edith Nesbit, Isabella Ford, Henry Hyde Champion, Hubert Bland, Edward Pease and Henry Stephens Salt. According to another member, Ramsay MacDonald, the group were influenced by the ideas of Henry David Thoreau and Ralph Waldo Emerson. In October 1883 Edith Nesbit and Hubert Bland decided to form a socialist debating group with their Quaker friend Edward Pease. 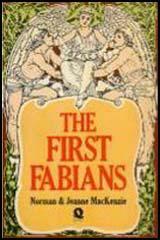 They were also joined by Frank Podmore and Havelock Ellis and in January 1884 they decided to call themselves the Fabian Society. Podmore suggested that the group should be named after the Roman General, Quintus Fabius Maximus, who advocated the weakening the opposition by harassing operations rather than becoming involved in pitched battles. Podmore's home, 14 Dean's Yard, Westminster, became the official headquarters of the organisation. Hubert Bland chaired the first meeting and was elected treasurer. By March 1884 the group had twenty members. In April 1884 Edith Nesbit wrote to her friend, Ada Breakell: "I should like to try and tell you a little about the Fabian Society - it's aim is to improve the social system - or rather to spread its news as to the possible improvements of the social system. There are about thirty members - some of whom are working men. We meet once a fortnight - and then someone reads a paper and we all talk about it. We are now going to issue a pamphlet. I am on the Pamphlet Committee. Now can you fancy me on a committee? I really surprise myself sometimes." George Bernard Shaw joined the Fabian Society in August 1884. Nesbit wrote: "The Fabian Society is getting rather large now and includes some very nice people, of whom Mr. Stapelton is the nicest and a certain George Bernard Shaw the most interesting. G.B.S. has a fund of dry Irish humour that is simply irresistible. He is a clever writer and speaker - is the grossest flatterer I ever met, is horribly untrustworthy as he repeats everything he hears, and does not always stick to the truth, and is very plain like a long corpse with dead white face - sandy sleek hair, and a loathsome small straggly beard, and yet is one of the most fascinating men I ever met." Over the next couple of years the group increased in size and included socialists such as Sydney Olivier, William Clarke, Eleanor Marx, Edith Lees, Annie Besant, Graham Wallas, J. A. Hobson, Sidney Webb, Beatrice Webb, Charles Trevelyan, J. R. Clynes, Harry Snell, Clementina Black, Edward Carpenter, Clement Attlee, Ramsay MacDonald, Emmeline Pankhurst,Walter Crane, Arnold Bennett, Sylvester Williams, H. G. Wells, Hugh Dalton, C. E. M. Joad, Rupert Brooke, Clifford Allen and Amber Reeves. 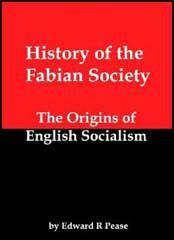 Early talks at the Fabian Society included: How Can We Nationalise Accumulated Wealth by Annie Besant, Private Property by Edward Carpenter, The Economics of a Postivist Community by Sidney Webb and Personal Duty under the Present System by Graham Wallas. In 1886 Podmore and Sidney Webb carried out an investigation into unemployment. In the Fabian Society pamphlet, The Government Organisation of Unemployed Labour they advocated the funding of rural land armies but declined to endorse large-scale public employment as they feared it would encourage inefficiency. On 11th June 1891 Podmore married Eleonore Oliver Bramwell. As well as holding a senior position in the Post Office he published a series of books. This included Apparitions and Thought-Transference (1894), Studies in Psychical Research (1897) and Modern Spiritualism: a History and a Criticism (1902). His major work was a detailed study of the life and ideas of Robert Owen. The two volume Robert Owen was published in 1906. In this work Podmore argued that Owen was the founding father of both socialism and spiritualism. According to his biographer, Alan Gauld: "In 1907 Podmore was compelled to resign without pension from the Post Office because of alleged homosexual involvements. He separated from his wife, and went to live with his brother Claude, rector of Broughton, near Kettering." Frank Podmore died by drowning at a swimming pool in Malvern on the night of 14th August 1910. Despite evidence that he had committed suicide, a verdict of "found drowned" was returned. He was buried in Malvern Wells Cemetery.